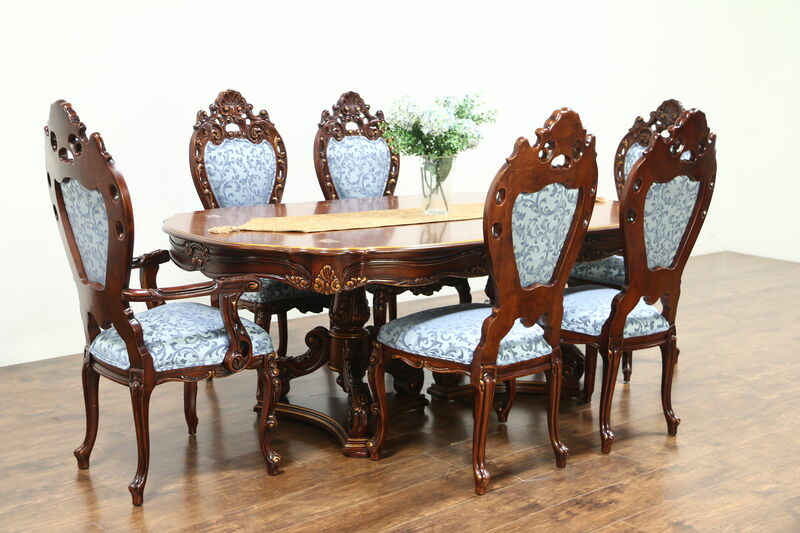 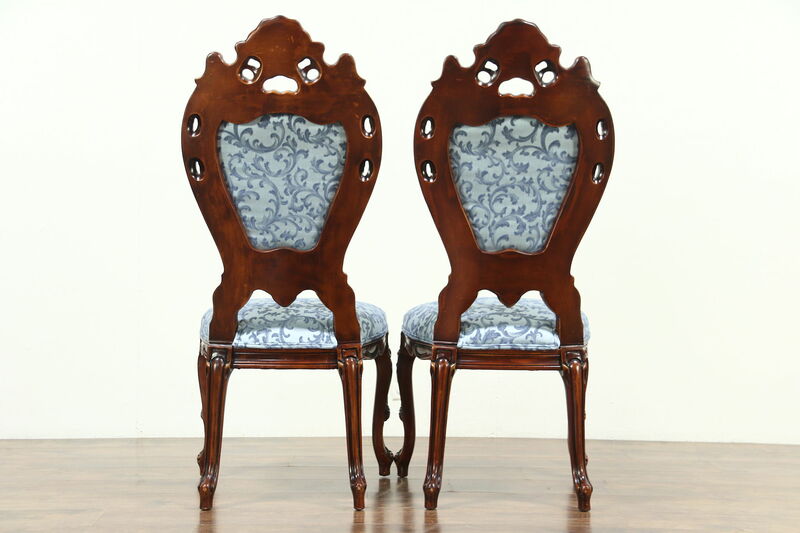 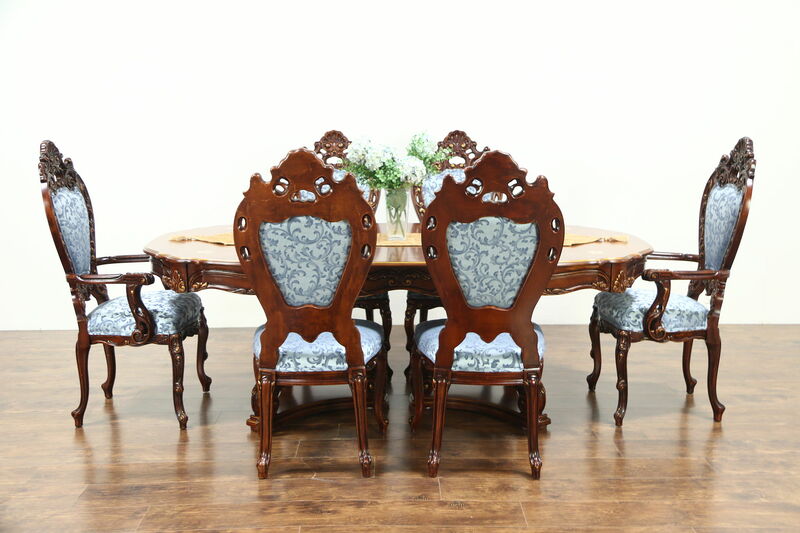 An opulent Baroque style dining set includes a table with leaf and six chairs with new upholstery, all deeply carved of solid cherry. 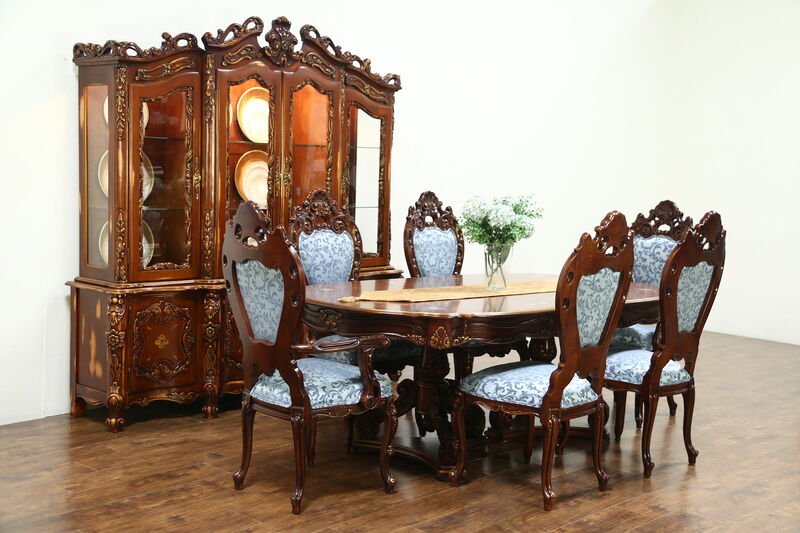 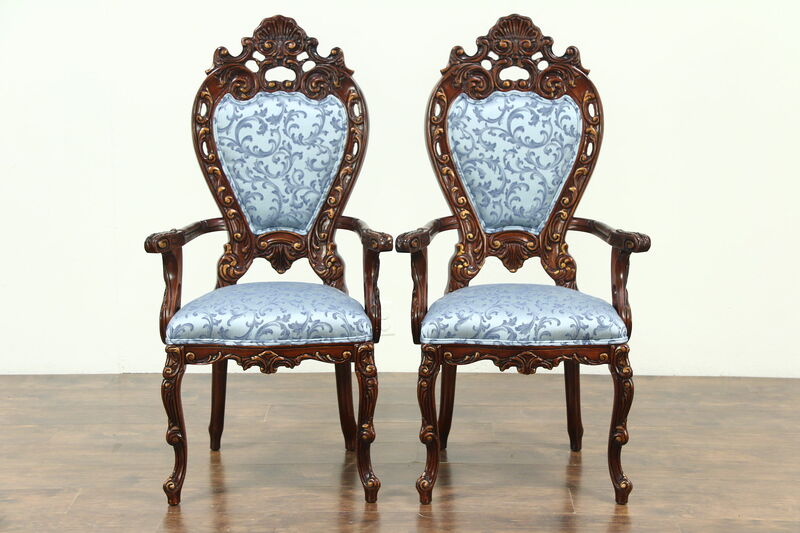 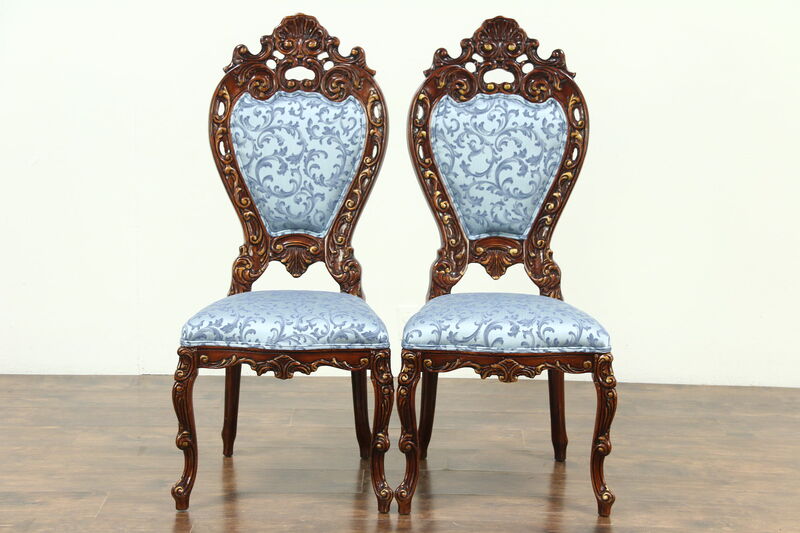 This grand Baroque style set has related pieces with signature stamps reading "Made in USA, Solid Hardwood from the USA, Montalbano Majestic." 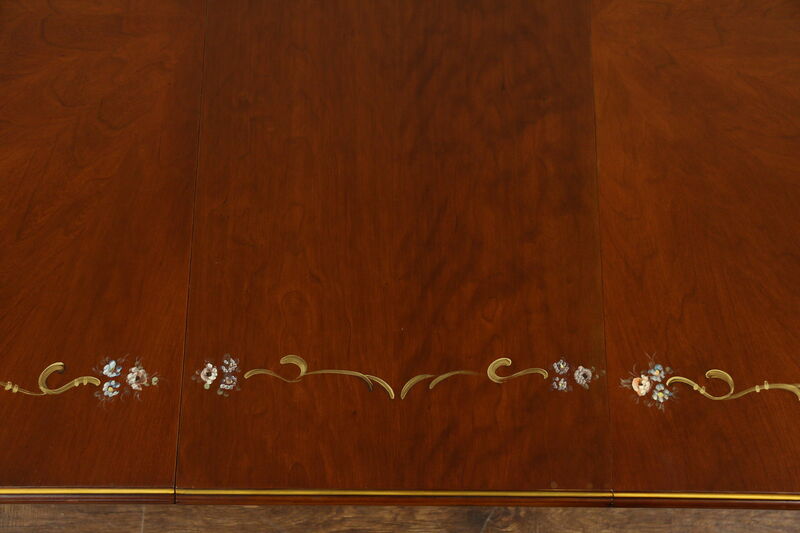 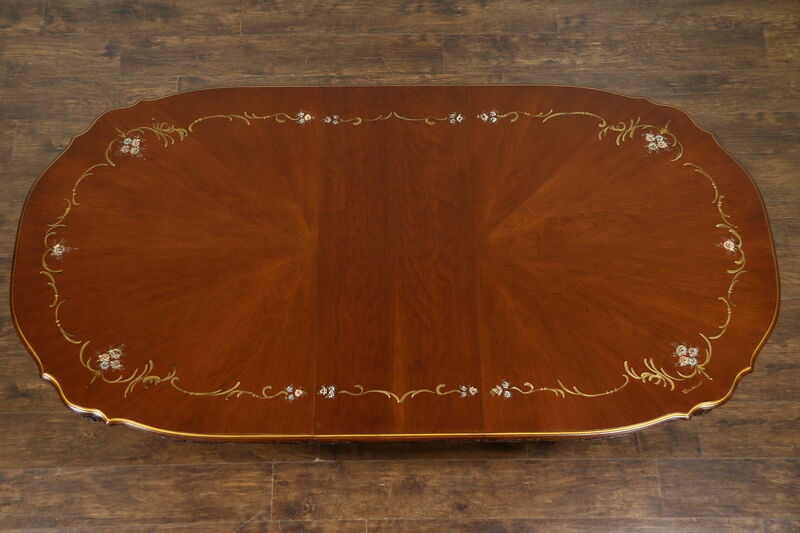 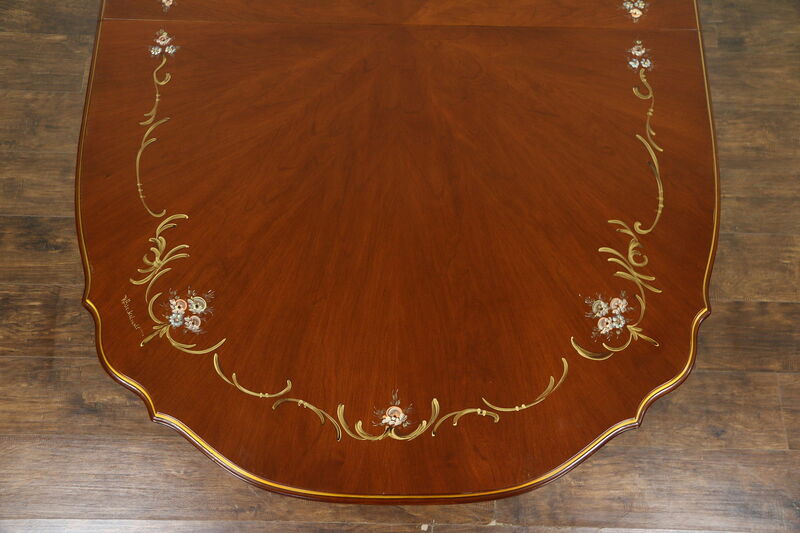 There is hand painting and dark gold accents, this vintage furniture dates from 1989. 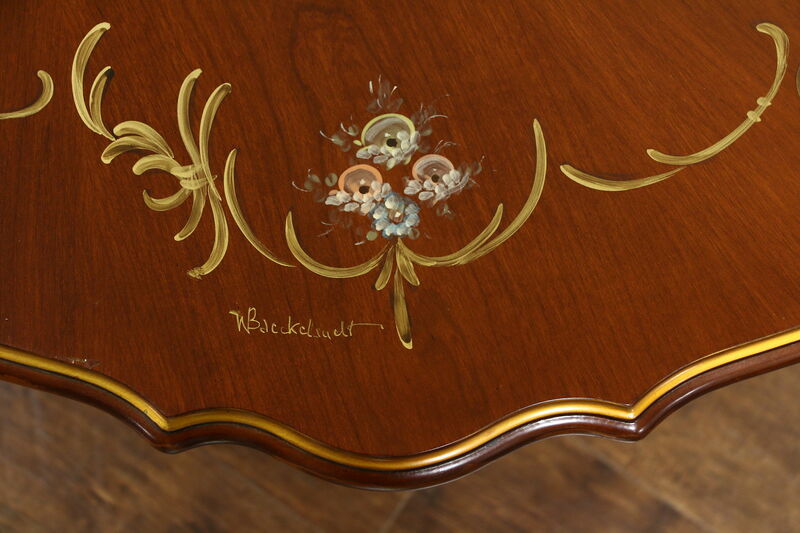 We have been told that the artist, Werner Baeckelandt, is still painting at the age of 82. 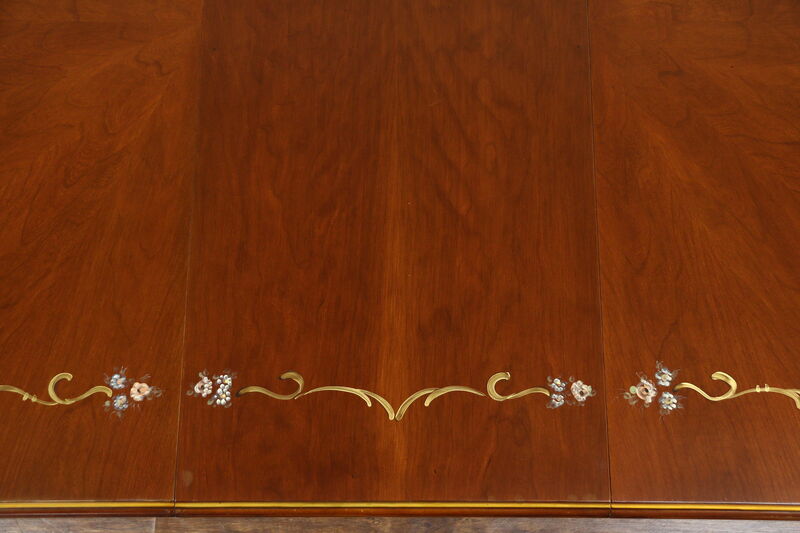 The renewed finish preserves "distressing" to look antique. 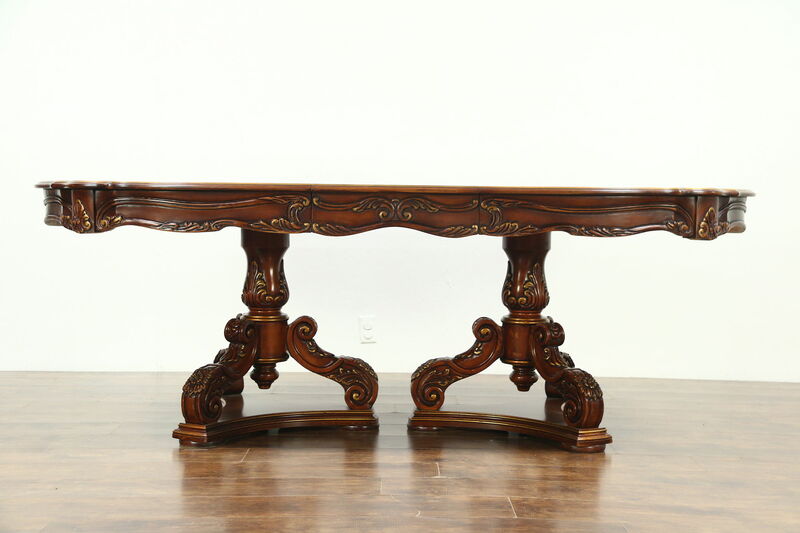 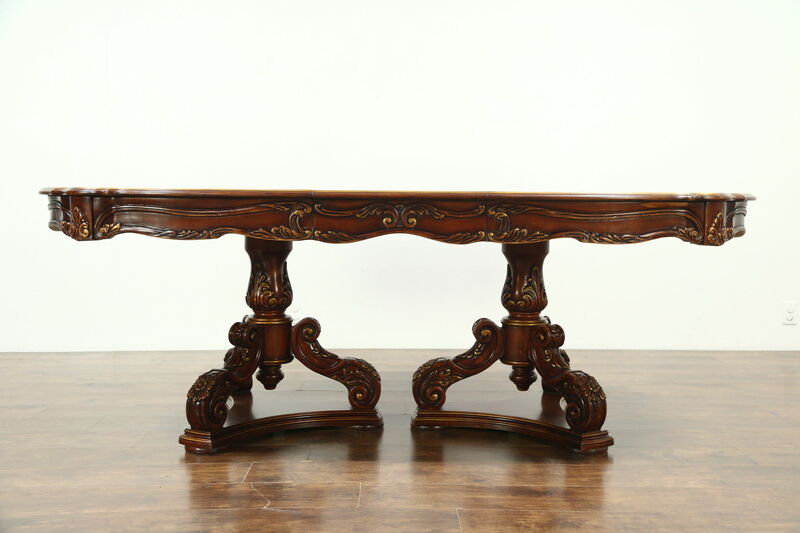 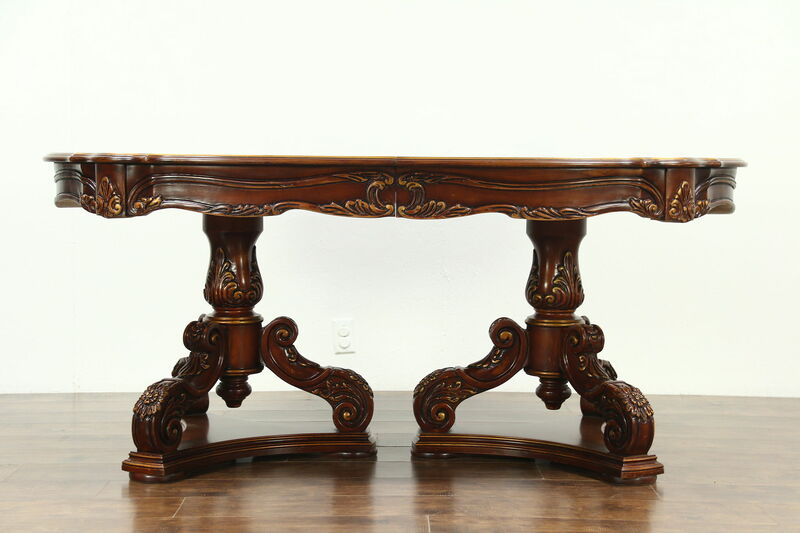 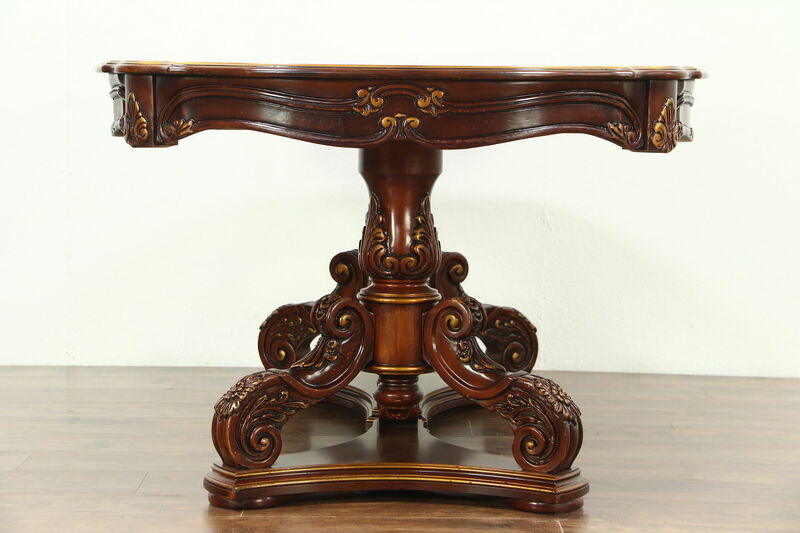 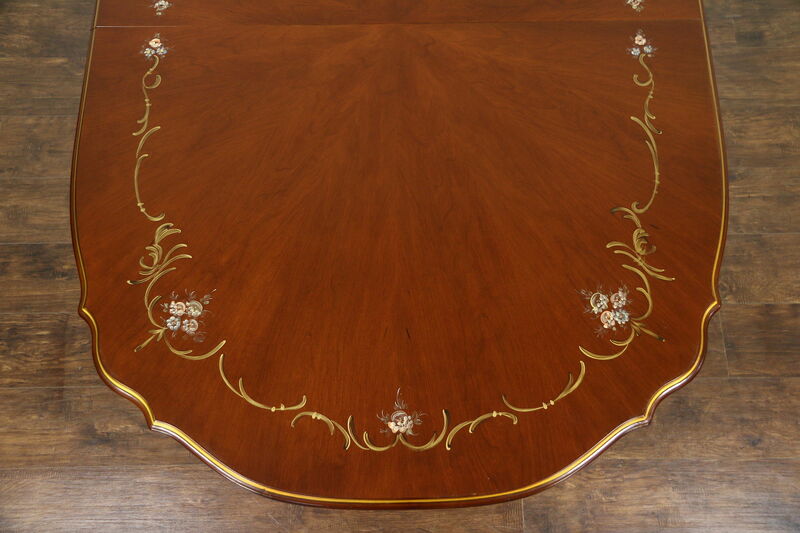 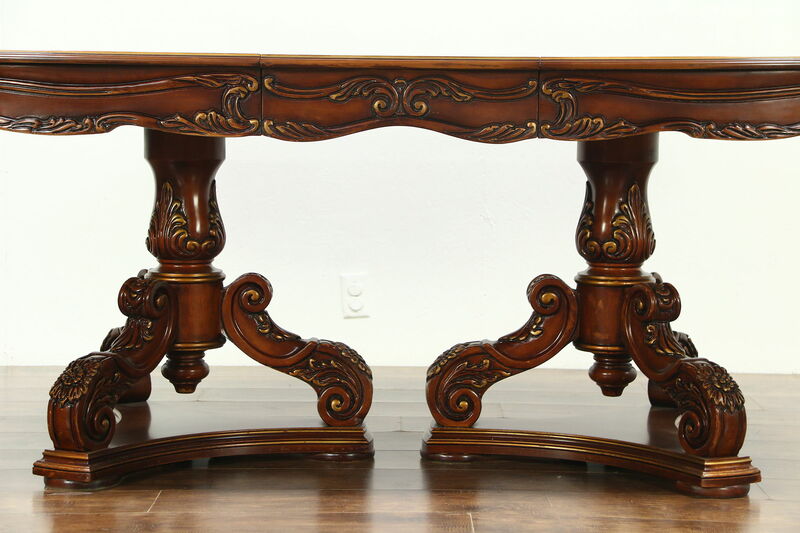 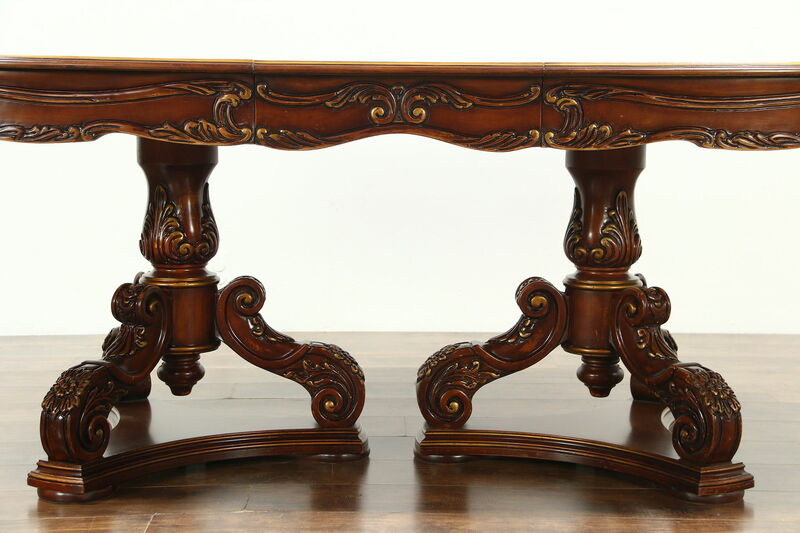 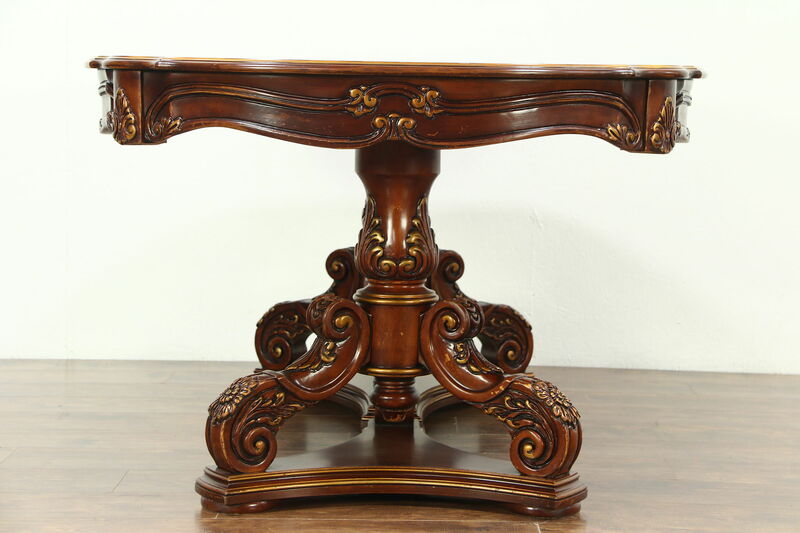 The table top has a brilliant "sunburst" pattern and richly carved pedestal base. 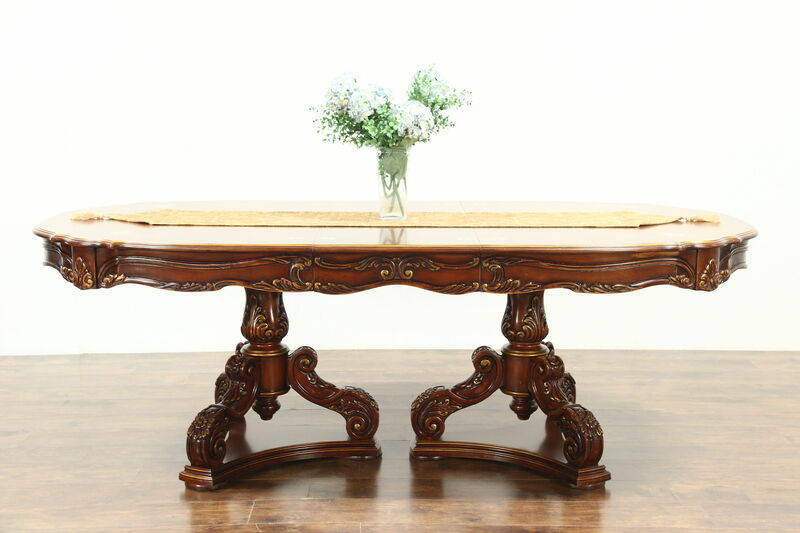 There is an 18" wide original leaf with matching skirt or apron. 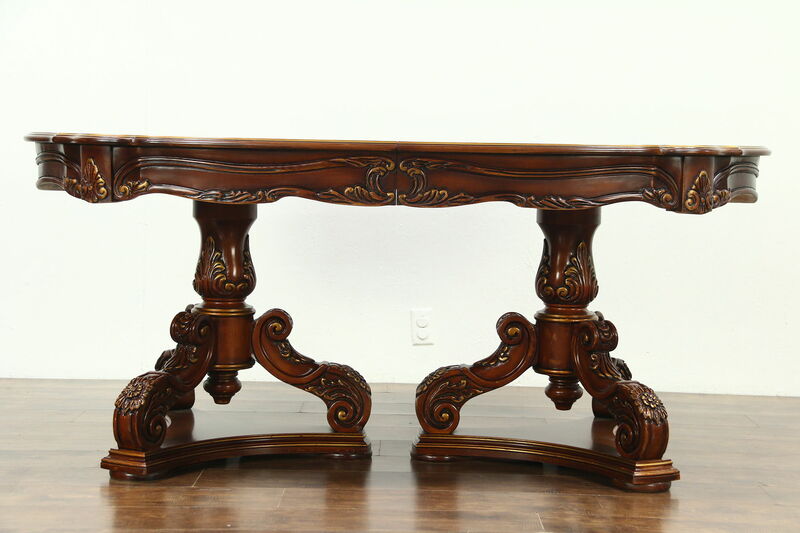 Measurements are 45" wide, 31" tall, legroom is about 26" and length when closed is 69," with the leaf in place, length is 87" overall. 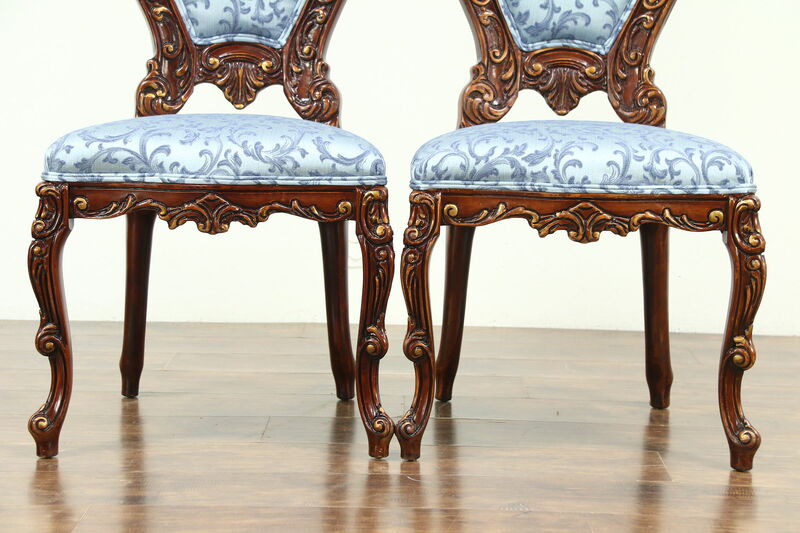 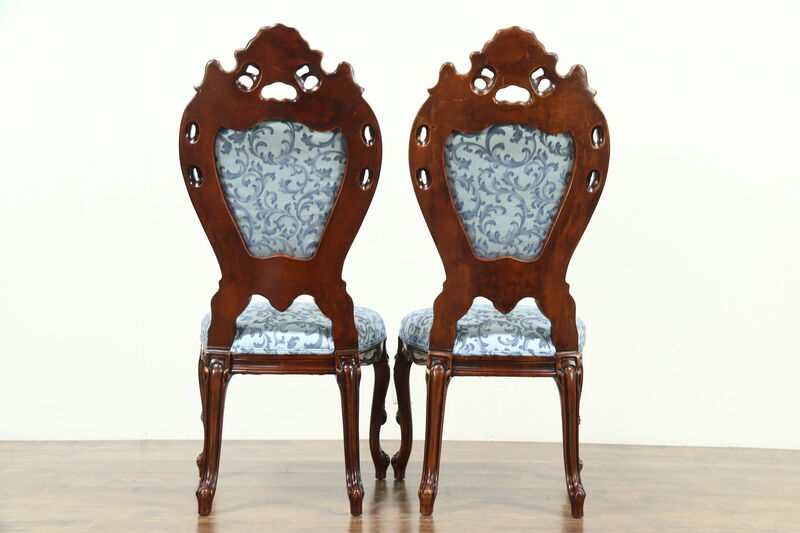 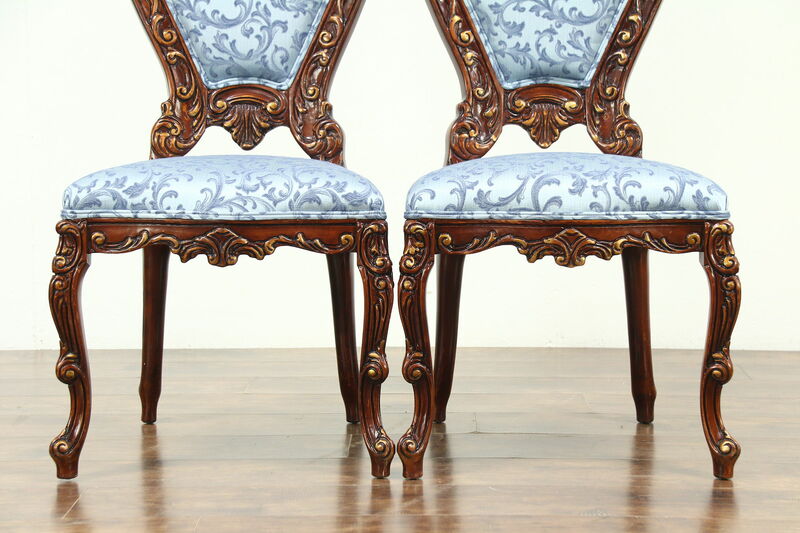 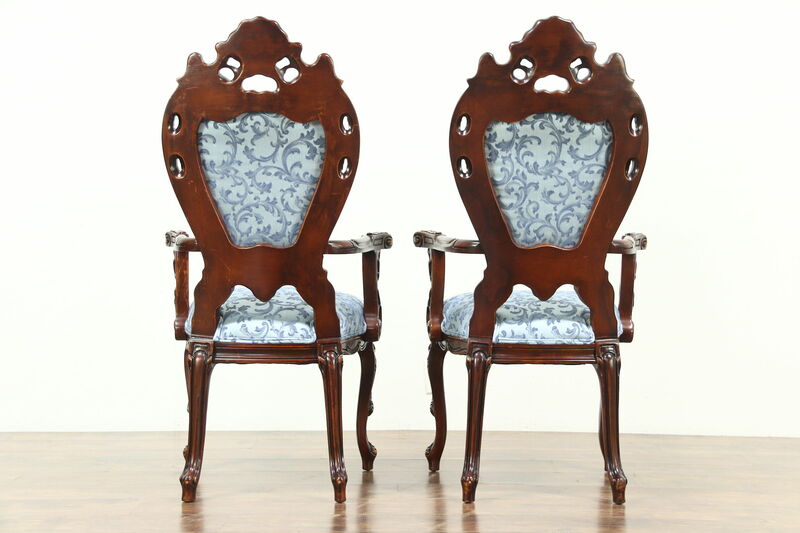 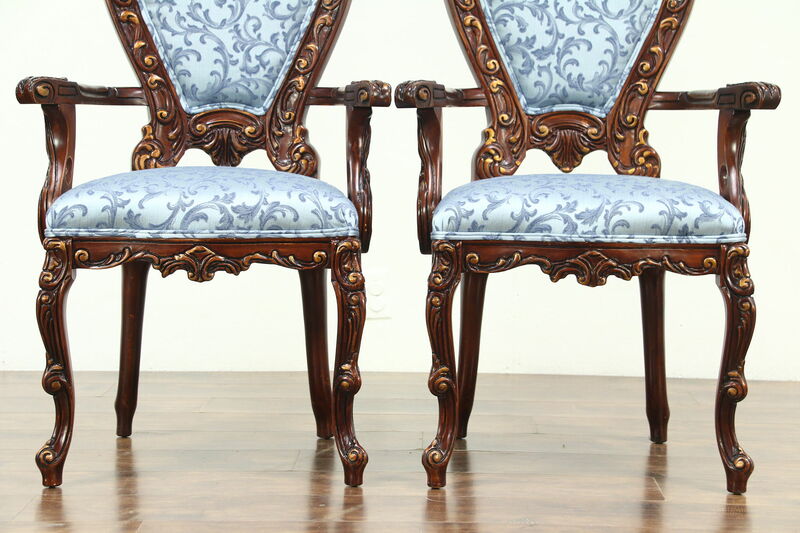 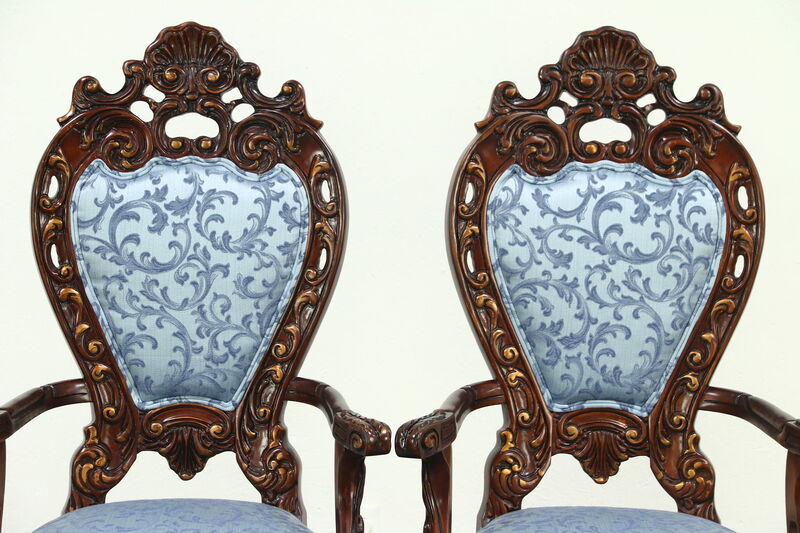 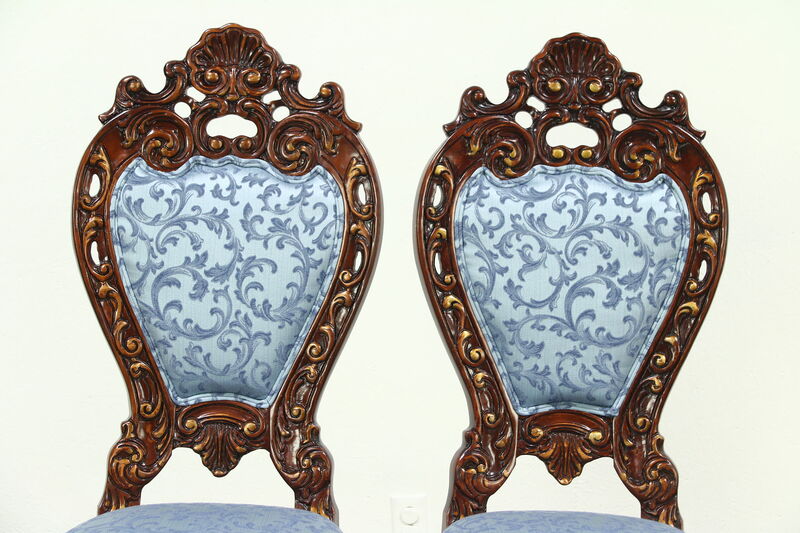 Six chairs are reglued to serve another generation and are tight and strong. 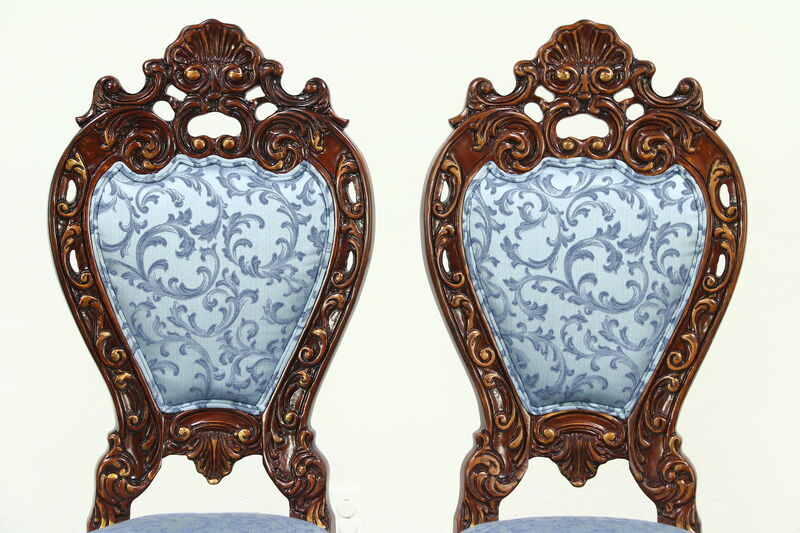 Two armchairs measure 26" wide, 25" deep, 48" tall and seats are 20" high. 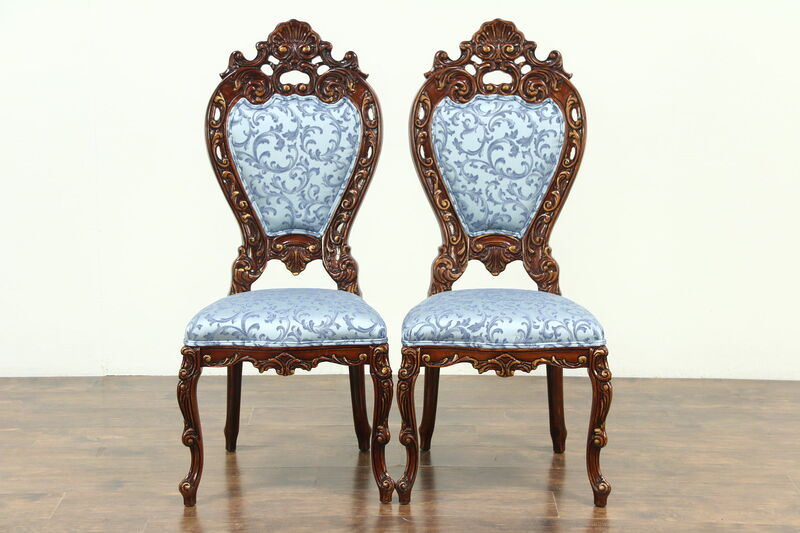 Four side chairs are 21" wide.